Much like the corn cob pipe, the “bait can” started its existence as a re-purposed item that was formerly relegated to junk status. While other coffee cans may have collected miscellaneous screws and bolts on dusty, cobweb-covered garage windowsills, the lucky ones became the friendly confines of night crawlers collected from backyards on rainy summer nights. For decades, these basic “bait cans” supported fishing adventures everywhere from the muddy banks of southern reservoirs to boulder-strewn stretches of icy mountain rivers, and every fishing spot in between. Almost every angling-related item has been improved over the years, including the “bait can”. 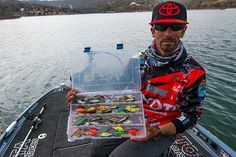 The best one ever devised – the Crawler Can – has been standard equipment for anglers who know clever bait containment and preservation when they see it. 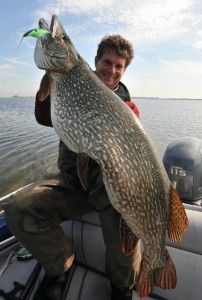 Such Crawler Can devotees might think the fine fishing folks at Frabill should leave well enough alone. But that’s not how Frabill’s designer-types roll. Driven to innovate, they went fishing and took their fancy can with them. The result? The NEW Frabill Universal Bait Can – a refined, albeit perfected version of the original design. 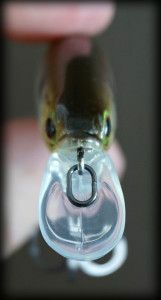 The last thing an angler needs to worry about when dealing with slimy worms and slippery minnows is fighting the lid on their bait can. Have at least one free hand? That’ll do, even if it happens to be cold or slime-covered. The improved, quarter-turn, easy grip lid is still watertight on the new Universal Bait Can, but is now much easier to open, thanks to a slightly rounded edge with deeper, more aggressive texturing and a carefully designed center ridge across the top. Like the original Crawler Can, there’s a lid on each end to keep any angler’s favorite one-two-punch of live bait offerings separate and ready in dual, extra-thick, foam-lined, insulated compartments. Couple all this with a comfortable and reliable pivoting carry handle and there isn’t a bait on planet earth that wouldn’t want to see the inside of this thing. 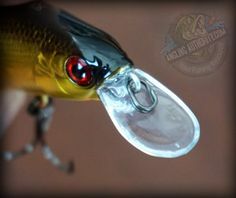 Frabill has long known their original masterpiece was well suited to hold almost any bait. So giving nighcrawlers all the glory by calling it the “Crawler Can” may have been slightly unfair. The improved and renamed Universal Bait Can provides due recognition to the full range of crawling critters that call this remarkable bait container home. 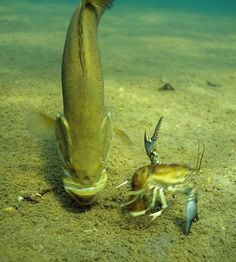 That’s right, minnows, leaches, crickets and others are now officially invited to the party – riding in style on the way to the fishing hole. 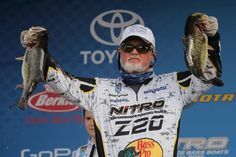 It’s a good time to be bait, and an even better time to be an angler.